In order to strengthen our self confidence we need to let go of the critical self-talk that goes on in our minds. Now that is something easier said than done until we start using hypnosis. The self-talk does not come from our conscious mind. We are not "choosing" to think negative things consciously. The self-talk comes from programs that we have running in our subconscious minds. 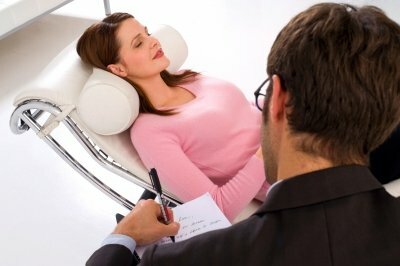 In hypnosis we get to communicate directly with our subconscious minds. We start to work at the level at which the problem actually exists. So during your self hypnosis session your goal will be to direct your mind towards positive beliefs about yourself. Beliefs such as "I deserve to be happy." Never forget you are a learner, and you are now learning new ways to be in the world. Start to make sure you take better care of yourself. Treat yourself with respect. It is helpful to praise yourself for having the courage to change, to heal yourself from your past way of being. Seek out the company of people who respect you and encourage your growth and self love. 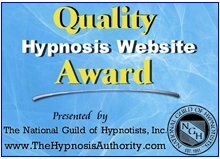 Here are some powerful suggestions you may wish to use with your self hypnosis MP3. Many people, using them daily with the recording over a sustained period of time have found them very helpful to establish a new, much more confident way of being in their lives. You can too. I am growing and learning every day. Life is good. I love my life. I feel totally confident, powerful. loved and lovable. Each day I feel like life is becoming an amazing adventure. Visualize yourself as the confident, strong and generous person you truly are. Before you start your session, think about how you will hold yourself as a confident person, how you will sound as a confident person, how you will feel as a confident person. Start with this program daily and you can begin to feel loved in the way strong and kind parents give love and encouragement to their child. They want you to succeed. You can be a warrior, strong and confident, having fun in your life.